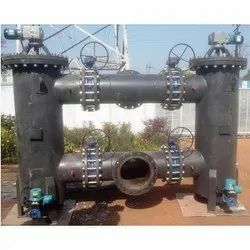 Offering you a complete choice of products which include t-type strainers, duplex self cleaning strainer, self cleaning line strainers, t-line strainers, flanged end y type strainer and duplex filter cam design strainer. We offer T-Type Strainers to our esteemed customers. These T Strainers are designed to enable us remove particles from the pipelines. These are used in various industries. It is superior built quality is on par set standard of the industry. Use of high quality raw materials keeps it corrosion resistant, long lasting. We also offer customized sizes. Capacity 75 m3/hr to 10, 000 m3/hr. 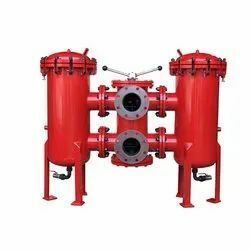 Our company has achieved widespread recognition in offering Duplex Self Cleaning Strainer to the clients. This product is commonly used on water service where the disposal of debris and backwash water is not a problem. Offered range can also successfully handle other fluids such as white water, black, starch, fuel and lubricating oil, caustic solutions and cooking oils. Self Cleaning Strainer is a particularly worthwhile investment where solid loadings are high or upset conditions occur. 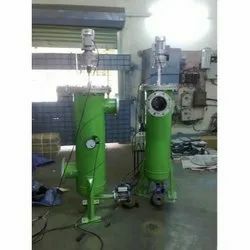 We are a credible name to offer a massive range of Self Cleaning Strainers, which is designed for the continuous removal of suspended particles from the liquid. Resistant to corrosion, these are widely acknowledged among our valued patrons. Owing to their longer functional life and fine finish, the whole range of the self cleaning strainers offered by us is highly popular in the market. Strainer is a device through which a liquid is passed for purification, filtering or separation from solid matter. It is used to prevent solid bodies from mixing in a liquid stream or flowline. We design, manufacture and supply Tee Strainers in both horizontal and vertical configurations. 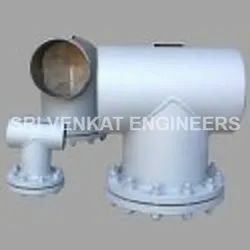 Tee strainers are designed to remove foreign particles from pipeline.Tee Type Strainers are a low cost solution to large nominal bore straining requirements. Delta Tee strainers protect pipeline equipment from foreign matter. 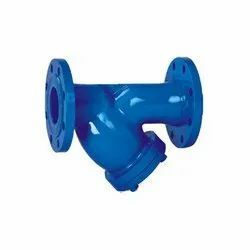 Tee strainers are most commonly supplied with a range of graded filtration levels to ensure that the clean liquid flows downstream. 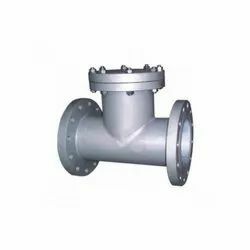 Tee strainers do not require large area for installation and hence they are quite convenient for protection of downsream equipment like pumps, valves and similar equipment. DELTA T Type Strainers are custom fabricated strainers. These are designed to remove foreign particles from pipelines. T Strainers provide excellent protection for downstream equipment like boilers, pumps, valves, and other related equipment. Typically DELTA T Strainer is constructed of carbon or stainless steel material. Optional materials, end connections and accessories are available. 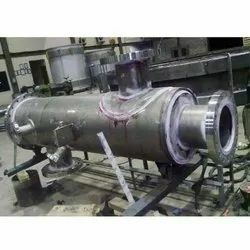 Backed by our experienced experts and contemporary technologies, we are able to offer superb quality Flanged End Y Type Strainer to our clients. 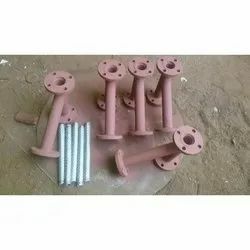 While manufacturing this cast steel y type strainer, we keep into view various factors such as resistant proof metal, excellent finish, free from any defect, high durability and many more. 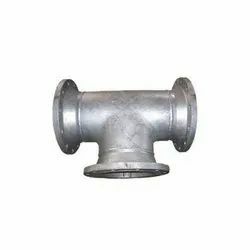 We offer this cast steel y type strainer in various dimensions as per the specifications and demands of our clients. Duplex Filter Cam Design Strainer offered can be made available in brass as well as other metal construction finish as well as in standard and OEM design options. Further, these precision working duplex type strainers are suitable for handling applications in fluid handling systems where there is continuous flow maintained. Large capacity baskets to provide desired open area ratio. FAB STEEL: Housing fabricated from carbon steel pipe and/or weld fittings. 12th character in the part number indicates the size of the holes in the stainer. All part numbers in the table are shown with an "R", which indicates 1/8" holes. The following are the available hole sizes and their corresponding character: Q = 1/16", R = 1/8", S = 3/16", T = 1/4", U = 5/16" V = 3/8" (If other hole sizes are required, please contact factory). We are offering Tank Magnet Strainers to our client. We are offering Back Flushing Strainer to our client. Looking for Duplex Type Strainers ?